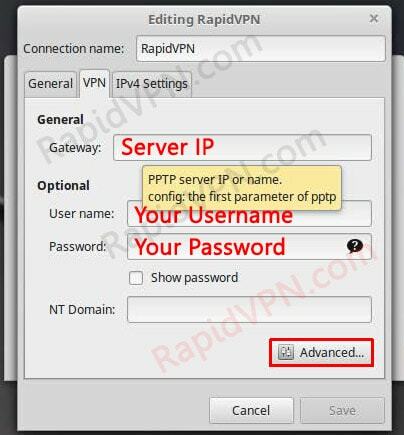 How to setup PPTP VPN connection on Linux Mint? 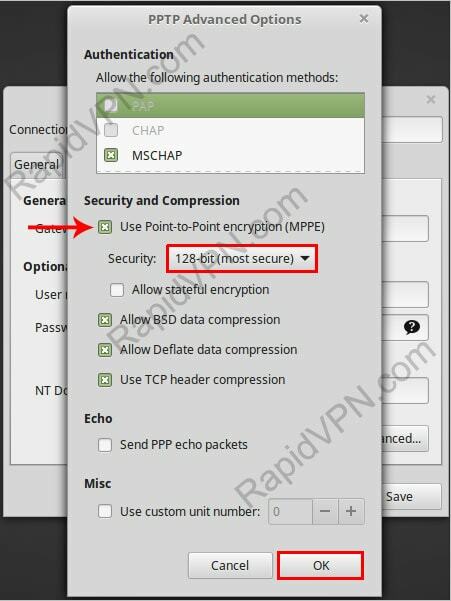 Mark "Use Point-to-Point encryption(MPPE)" and select "128-bit(most secure)" from the "Security" option. After that you have to click on the "OK" button to save all the configurations. 5To connect the VPN you have to click on the "Network Connection" icon. Then you have to mark the "VPN Connection" option. 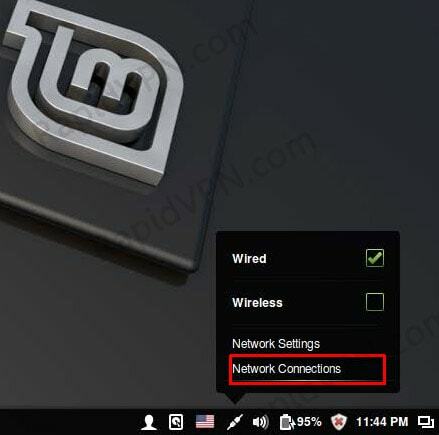 6Disconnect: If you want to disconnect you VPN service, then you have to click on the "Network Connection" icon and you have to unmark the "VPN Connection" option.